Photoshop Touch – Exactly what you’d think, with some great tablet-only features built in. Collage – Find inspirational images, create storyboards from them. Debut – A presentation app for your Adobe-powered designs. 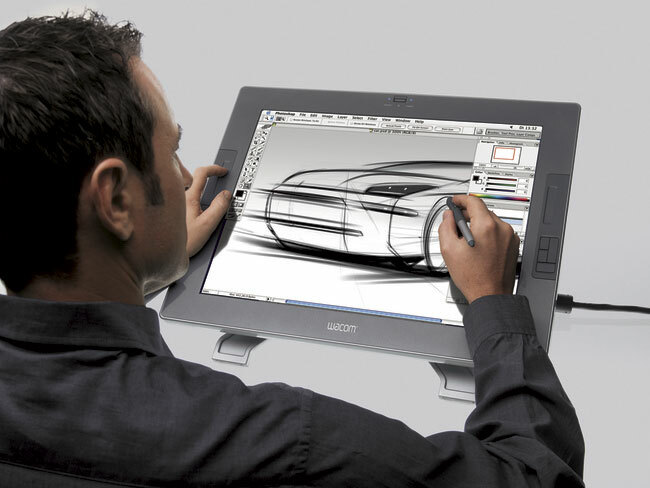 Ideas – Vector-based drawing for the tablet. Kuler – Color-theme generator, tied to a creative community. Pronto – Interactive wireframing tool. There can be no doubt, Adobe has been hard at work making things happen for tablet users. The apps look great, the demos are incredibly solid and it should prove to be a boon for productivity on the go. That is, unless you use an iPad. You see, Adobe apparently forgot that, for most people the word tablet is defined as “iPad”. No matter how much ground Android-based tablets are putting behind them, they simply aren’t catching up with Apple’s trend-setting device at a pace that anyone would call impressive. In fact, recent studies are showing that Apple’s iOS holds nearly 55% of the entire mobile browsing market, with Android making up only 16.26% In anyone’s world, this is a missed opportunity for Adobe. Granted, this is mobile browsing, but it’s a good litmus test for the “smart device” mobile market as a whole. Things could look up in the future. Adobe says that it plans on “an announcement regarding iOS availability in early 2012.” The problem here? That’s still at least 3 months away, and that’s 3 months of lost time, ignoring the vast majority of the tablet market. Interestingly, as you read through the Adobe releases regarding the apps, you’ll notice that there’s very little brand mention at all. It’s as if Adobe was purposely burying the fact that the apps aren’t yet available for iOS, and the use of the generic “tablet” term might be enough to hide it. Sorry Adobe. That didn’t work. It’s admirable to see companies that are taking the Android-first route, but for a company that prides itself on being used by creatives, ignoring the largest userbase of creatives seems like an ill-fated move. The apps will likely see some use, but there’s just no excuse for telling iPad users that they have to wait, with the market being as it is today.